James Bond meets The Thomas Crown Affair in a spellbinding tale of international intrigue and suspense. Jennifer Browne. An FBI agent desperate for a second chance. In Paris a priest is murdered, the killers dumping his mutilated body into the Seine. Only he has taken a secret with him to his death. A secret that reveals itself during his autopsy and reawakens memories of Depression-era politics and a seventy-year-old heist. Jennifer Browne, a young and ambitious FBI agent is assigned to the case.This is her last chance to kick start a career that has stalled after one fatal error of judgement three years before. Her investigation uncovers a daring robbery from Fort Knox and Tom Kirk, the world's greatest art thief is the prime suspect. Tom, caught between his desire to finally get out of the game and his partner's insistence that he complete one last job for the criminal mastermind Cassius, faces a thrilling race against time to clear his name. 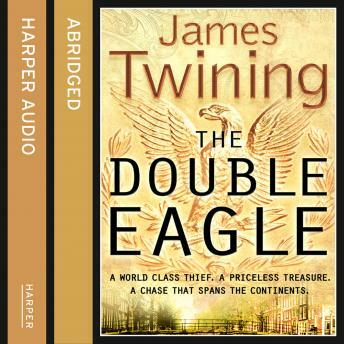 A race that takes him from London to Paris, Amsterdam to Istanbul in a search for the real thieves and the legendary Double Eagle.